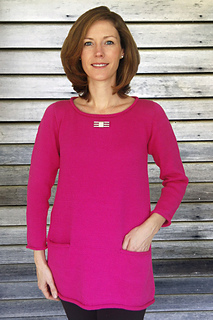 This one piece, top-down, boat neck tunic has 2 optional 5” deep pockets. 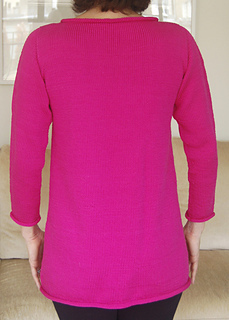 Sleeves are fitted at shoulders with optional short-row sleeve caps. 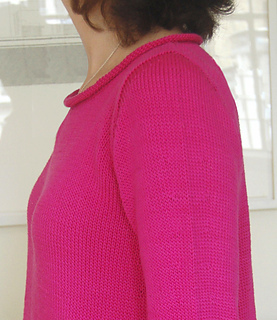 Without short rows and pockets this garment is easy. Neck, sleeve cuffs, hem, and pocket edges are rolled. This versatile tunic works well with leggings and may be dressed up with an interesting pin.